"Sohoyini" translates literally as 'one heart' in the Dagbani language of the Dagomba people in Northern Ghana. Sohoyini was created in efforts to unite cultures and celebrate our diversity through the beautiful dance and music of Africa. Sohoyini is a pan-African collaboration of traditional arts embracing the music and dance of countries from Ghana, to Zimbabwe, to the United States. We celebrate not only our roots, but the branches of our new global culture. 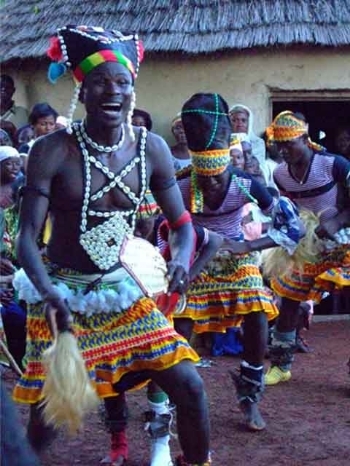 Although a mix of cultures, all efforts are extended to ensure the dances performed are true to tradition. Sohoyini Ghana presents exciting and energetic traditional Ghanaian performances. With a repertoire built of dances from throughout the country, we promote the preservation of Ghana's traditions in the midst of ever increasing modernization. We share with the people of Ghana through performances for ceremonies and other special events, youth through school and educational programs, and local international students through private and group instruction.